In addition to several fixes and tweaks to improve your game experience, we’ve overhauled the Gallery! This is something we’ve been working on for a while and is the first step to keep enhancing the Gallery to make it an incredible platform for this community to share its creations. Read below to find out what we changed with the Gallery as well as various improvements throughout the game. Our goal with the Gallery is to shift the focus towards the creators making incredible content and make it easier to download the content. We’ve re-arranged the content images so that you can now Follow the creator, Favorite the content, and download the content on the front page. We’ve moved the Search bar and popular hashtags front and center. Popular Now is the default filter, which means you should see more fresh, different content. We’ve renamed and re-arranged the tabs. You now have Gallery, for content, News to find out who is uploading and sharing content, your Profile (with your name), and your Library, to see your downloaded content. We’ve updated the art and visuals throughout the Gallery. You can now download and place Lots and Rooms from the Gallery even if you begin in Live mode. Hurray! At last! Just a reminder in case you haven’t used the Gallery before: The Gallery will not download custom content or mods to your machine. There is a filter to see items created with custom content, but it will not install the custom content for you. So, you can rest assured that items downloaded from the gallery will not break your game. You can now move Easels into your inventory and Live Drag them, which means you can paint out and about in the world! Be sure to pick up your easel before you leave! Removed unnecessary “seams” that appeared when wearing some full body toddler outfits. Sims should now use the closest counter to prepare Garden Salads of any portion size. Sims should now use the closest sink to wash dishes. Sims should now only use a single Kitchen space to prepare a meal, even on Lots with multiple kitchens. The “Ask About Suspect” interaction is now available during an APB event in the detective career. You can now select Hot and Cold Weather attire via the Closet. Sims who belong to an Infamous Club no longer get the Intimidated by Fame moodlet at a gathering. The temperature in the Kiddie Pool is now consistent with other pools. 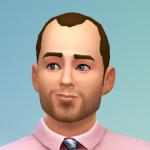 Sims will get the “Uncomfortable Chilled” moodlet, but won’t immediately begin freezing to death. Vampires are now protected from the Sun when using an umbrella, though it probably gives things away, wouldn’t you say, Vlad? Decorations no longer clip through the rooftops when viewing a Lot in Free Camera mode. Electronic objects will now function properly during the rain, assuming they are indoors and beneath a roof. Sims will no longer freeze to death while playing basketball in cold weather. One could say that as a result of their skillful play, they’re on fire. Father Winter has been banned from all Clubs and will no longer appear when adding Sims to a club. Seems Father Winter has been naughty. Pets will no longer stretch bizarrely while Sims are opening presents. The Sing Together… interaction is now available on the Kinara, Menorah, and Holiday Trees when a Holiday Tradition is active. The Flower Bunny no longer appears on random holidays and events, which is good, because Flower Bunnying is a full time job and they were really slacking. Sims with the Responsible Trait now have their Daily Tasks automatically completed for the Gardening Career. R-E-S-P-O-N-S-I-B-L-E doesn’t quite have the same ring to it. Sorry, Aretha. Sims who die while skating now die like you’d expect them to die. There was some weirdness, but now there isn’t. Just good ‘ol standard death. Sims were sometimes slipping indoors while walking TO a mud pile, which is silly. They now slip and fall like you’d expect. Sims disturb their bees less frequently. We told them to buzz off. Plants pollinated by bees will now evolve more quickly, which is how they bee better. Facial hair now appears while the Hot and Cold Weather filters are active. Banana, palm, and fern trees no longer drop leaves. While using the randomize function with a mannequin you can now see Hot and Cold Weather options appear. Handiness Whims are now completed when Handy Sims work on the Sprinklers and Weather Controller. Vegetarian safe options purchased from local vendors are now actually vegetarian safe. Purchasing items from a vendor now contributes to the Jungle Explorer Aspiration progress. Broken Sparks visual effects now go away once you repair a Hot Tub. Birds will once again appear when a bird feeder is placed. The vanity table should now apply makeup appropriately once more. Clothing should no longer disappear after hung on the Model T Clothesline.